Yay... It's here! I am so excited to do something.. for this challenge! Cool Inspirations from DT! Yay!! Can't wait to play along! FABULOUS cards from all! Yay! Let the games begin! Wonderful inspiration by the DT to kickstart this new challenge. Woo hoo! 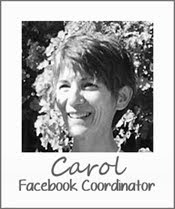 Awesome launch of fabulous cards; you gals are soooo inspiring! Looking forward to seeing a full-to-bursting gallery of twofer tremendousness! Your DT inspiration sets a high standard. I'm going to do my best to join in. Woohoo! Congratulations, Darnell, on the first challenge!! So, I'm a very literal person and when I first saw "feathers" I was saying gah! I have not a single feather stamp or die in my plentiful stash! 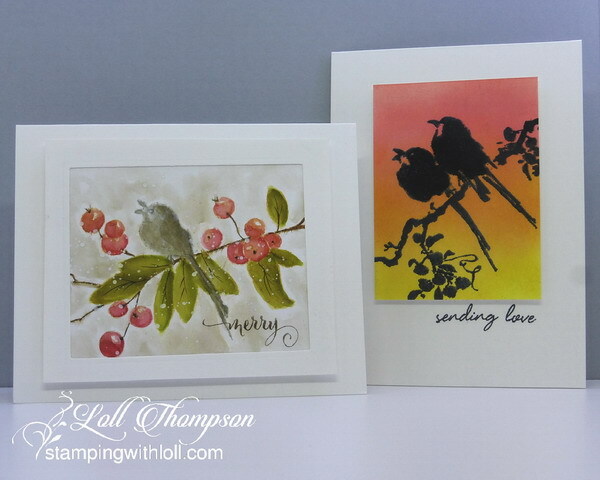 Thank you to your team for their beautiful cards and so much inspiration (also showing me that I could use birds! Duh! LOL!) Birds a plenty I have!! OH and I LOve all the inspiration! your cards are amazing!!! Congrats, Darnell, on the start of your challenge! Now I'm off to read the rules and make sure I get it right! Oh how fun! awesome inspiration ladies!!! What wonderful inspiration from you all! What a fun challenge! Love all the DT designs....Happy New Year!!! ohmygoodness, I've been so excited for this to start, but I forgot that today was the 10th! fabulous inspiration from the DT, especially Kara, since I had to look three times before I could see the stamp/die that is the same! Yay! Darnell congrats on the challenge launch, and I hope to play when I return to Maryland...I brought no feathers with me to California...though a friend of mine might have some so we will see. Congrats too on the spectacular DT! WhooHoo!! So happy things are up and running!! Looking forward to playing along. Thanks for all of the fabulous inspiration from the team! Thanks for the gorgeous inspiration :) awesome to have a new challenge! Fabulous! I've been anxiously waiting for the launch of this fun new challenge. Amazing concept, design team and cards! Wow!! Your inspirations are just fabulous!! 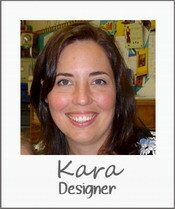 I especially love the littlebird on Kara's card, the shadow of the feather on your card and the peacok feather ornaments on Anita's card. What a fab idea Darnell - hoping I can join in with your challenge but off on holiday shortly so may have to miss this first one. Fingers crossed I can get some super quick mojo happening! A beautiful selection of cards from the DT! Great concept and great samples. On a couple I really had to look hard to see how the same supplies were used. Guess that's the whole idea, eh? Lovely work, ladies. What a beautiful array of cards for our inspiration. Congrats, Darnell on your first challenge debut. Congrats, Darnell, on your challenge launch. This is such a fabulous idea & I see you've chosen an outstanding design team. I'll be cheering from the sidelines. Beautiful and unique cards from the hostesses, and several from participants so far that are pretty amazing too! Hooray, congrats and whoopee! So happy for this challenge and all this talented inspiration! Love that it's the brainchild of the hostess with the mostest, Darnell. Working on a two-fer right now! I’m amazed by what you gals can do with feathers! 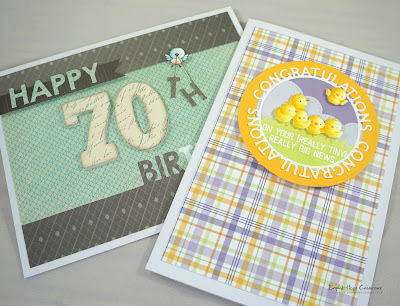 very inspiring gals, proof of that is my entry into the first challenge I’ve made cards for on time! Thanks...it pushed me a bit, used up some scraps and NMBUS. Hope this is the gentle start to a roll! OOps!! 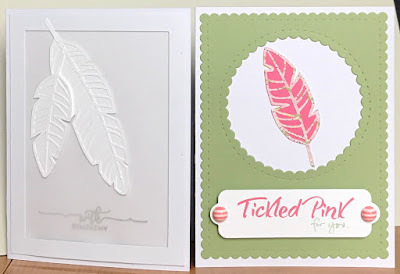 After, I made my cards and wrote my post, I realised I had to used feathers!!! So embarassingly silly!! Here is the link anyway..In case anyone wants to take a look! This blog looks absolutely great and the DT cards are all just wonderful!!! Darnell, wishing you and your team all the best for this challenge!!!! So excited for your new adventure! 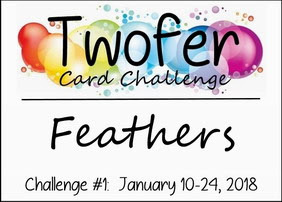 Fabulous cards - my first challenge will be to find some feathers! Love your new challenge! Great cards and inspiration by the design team! 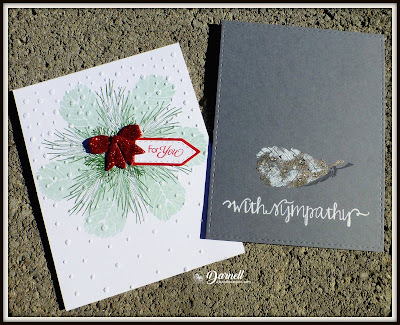 I came back to leave my comments, hoping blogger got their issues fixed but I guess not...oh well...anywho wanted to say what gorgeous cards you all have created...all so creative and fun! And wanted to say what a well run challenge, I love a GOOD challenge too, one that you have to think to enter..keeps the old mind going...I hope entrants read your rules though, we have lots that don't, and it annoys me..lol...anyhow...I can see this is going to take off strong...have fun!! Great challenge idea! Great inspiration. I tried to comment yesterday but Blogger was in a bad mood and I clicked and clicked and clicked on that darned Publish button and nothing happened (not just on this blog but on almost every blogger blog I visited) so I'm here to try again. Wonderful challenge, a great excuse to use one of my old favourite stamps, and the DT samples and all the lovely entries in the gallery look wonderful. I can see this is going to be a huge hit! ... and it only took 45 clicks of the Publish button this time. How sad that I counted! Congratulations on your new challenge Darnell! I really enjoyed thinking 'outside the box' with this one, and look forward to entering future ones. You have received such a lot of fabulous entries, and your team have provided some great inspiration. MY! Who knew that there were so many FABULOUS feather images and dies out there! Great cards ladies and a fun challenge!!! So great to have this new challenge to enter, thank you Darnell and the whole DT! Great projects from all of you! I'm so excited about this new challenge! The inspiration is fabulous! Thanks for making card-making world even more fun! Loved playing in this fabulous new challenge! Thanks so much for all your wonderful inspiration! What a great idea, Darnell. You've chosen something totally different. Collected an amazing Design Team with gorgeous samples, and made it impossible for people (like me) who are challenge junkies to go without trying their hand at this challenge. Well done! I love the idea of this challenge, Darnell, so glad you brought it to us! I think it will be fun and require a good bit of thought too. But what I'll like the best is using my supplies, nous or not - twice! Lovely and inspiring work from all the team. Thanks! Hi Darnell, well finally joined in.. took several goes but made it!! 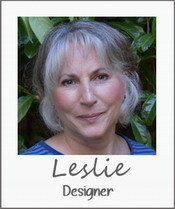 Realised after making first card blue one it didn't meet all criteria so started another! Think i like them, aren't we funny about our creations! Brilliant work by the DT and special tahnks to Loll for keeping me inspired too! What a fun challenge and thanks for sharing those fabulous creation! 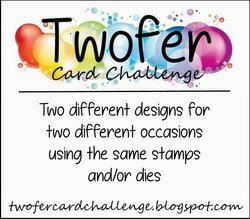 Congrats on the first Twofer Card Challenge Darnell! I goofed when I tried the first time to link - it has been awhile since I did this. But I had to try when I found out about this new challenge. thank you for the challenge to make, not one, but two, cards. Love this concept! Everyone on the Design Team has given us terrific inspiration! What a wonderful concept. Just when challenges start to feel the same - you come up with a unique, original and fun idea! I'll be back to play along! Darnell - what a fantastic challenge. So happy to have found it! Congrats to you and your DT on the wonderful cards for the first challenge. what a fun challenge, Darnell. 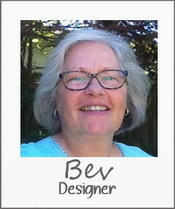 You and your team created great cards as have so many of your fans. Had trouble with Google, but finally entered my cards. Smiling now. I had FUN making my entries! 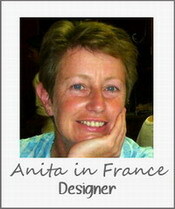 Love your card as well as the DT cards - with luck I may have recovered by two weeks time in order to pay again! I always have trouble using the Blue Frog linky - must be me I know but it seems detwemined to ad what IT want to add and not what I ask it to. Naughty frog! Well, that was a World Record for typos - but you get my drift I hope! Took a while for me to find time to play along, but so glad I did. Love the idea, love the inspiration from the DT and from fellow crafters! Well I wasn't going to enter but then I found a feather stamp and the rest as they say is history. I love all the DT's card which didn't then leave much room for manoeuvre so my second card might not pass the scrutiny test set by Hammy!!. Thank you so much for this challenge, Darnell, Your design team gave some wonderful inspiration. Super inspiration.... so i do it for the first time. 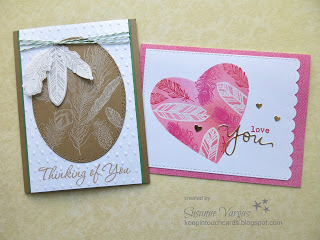 I loved seeing the cards that couple of your DT members linked to our Watercooler Wednesday Challenge blog. Now to see if I have any "feather stamps! what super DT creations and they are so inspiring. Just managed to make mine at long last. Yaaaaaasssss! Such a fun concept for a challenge and a brilliant design team! Congratulations Darnell it looks awesome and I like the concept and the beautiful cards made by the great team. I just found time to play along. 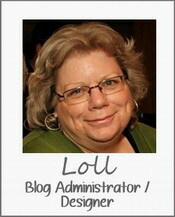 Thanks for the fun new challenge blog, Darnell - congrats on its success!! Fabulous feather cards by all the DT - so much variety and inspiration!! First challenge and an awesome line up in the gallery, you girls will have a hard time picking some favorite. I am glad I am able to join, a whole lot late, but I made it! I was determined to join in the first challenge and I just made it in time. Thank you for a fabulous new challenge and super DT inspiration - I'm looking forward to the next one. Congratulations on a fabulous first challenge! Fantastic inspiration feom the DT and all the participants! Sorry I didn't manage to participate this time. What awesome interpretations by both the DT and participants! Excellent concept for a new challenge, too: our really fosters "thinking outside the box" and I love it! Look forward to participating next month! Cheers! Oh, I discovered this challenge to late to enter this month. But am adding it to my list so I'll be in the future because I really like the idea of making two very different cards. And... 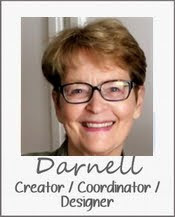 I really like Darnell! Unique and super idea. Just found your challenge. What a great idea for a new challenge! The DT cards were very inspiring! I hope I get to play next month! I keep coming back to look at all of the creativity. What a fun challenge and great design team! I am thrilled you had such a wonderful turnout for the first challenge. I loved the entries and the great cards that were submitted. Fabulous challenge, Darnell! Beautiful cards from the team, and amazing cards from the participants! Your challenge is a brilliant success and I’m hoping life allows me to join in!